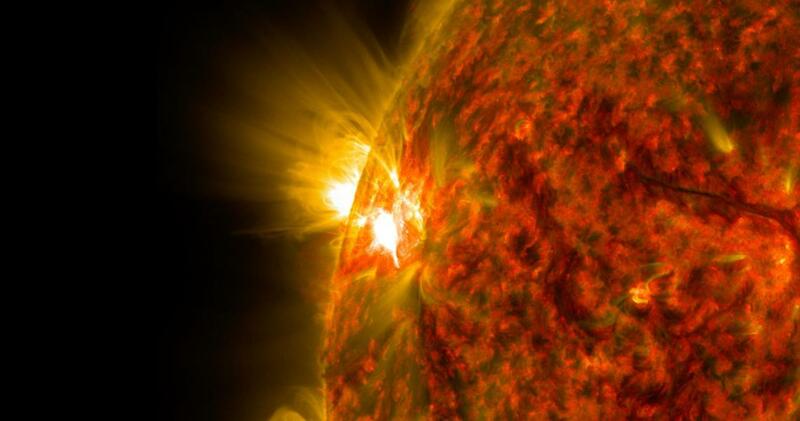 Although not yet fellow faculty members at NJIT, Chen and Gary did collaborate with researchers from the National Radio Astronomy Observatory, the University of California, the University of Applied Sciences and Arts Northwestern Switzerland and the University of Minnesota on an article for the journal Science published in 2015, “Particle Acceleration by a Solar Flare Termination Shock.” The article presented radio imaging data that provides new insights into how a phenomenon known as termination shock associated with solar flares, the most powerful explosions in the solar system, helps to accelerate energetic electrons in the flares to relativistic speeds — propelling these particles into space at nearly the speed of light. For his research, Chen is drawing on streams of radio data from a number of sources. In addition to NJIT’s radio observatory at Owens Valley, these include the Karl G. Jansky Very Large Array in New Mexico operated by the National Radio Astronomy Observatory and the Atacama Large Millimeter/Submillimeter Array in Chile. Recent upgrades at Owens Valley put it at the forefront of this research as a “new-generation” radio telescope. Another very important advantage afforded by Owens Valley, as Chen emphasizes, is that it is a facility dedicated full-time to solar research. Assistant Professor of Physics Bin Chen at the monument to Karl Jansky, considered to be one of the founders of radio astronomy, in Holmdel, New Jersey. Jansky, a physicist and radio engineer, first discovered radio waves emanating from the Milky Way in the 1930s while researching interference with telephone communications for Bell Laboratories in Holmdel. In his honor, the unit that radio astronomers use to designate the strength of radio sources is the jansky, and the radio telescope operated by the National Radio Astronomy Observatory in Magdalena, New Mexico, bears his name — the Karl G. Jansky Very Large Array.